My paternal great grandmother, Bessie May Schuster, was born in 1897 and was mighty short. The family record says her grandfather was “always a Republican but has never held office, nor was he a member of any church.” In 1904, when she was 7, her young mother died, I think of disease. Bessie May had a rural education and the books say she “worked out” until her marriage. 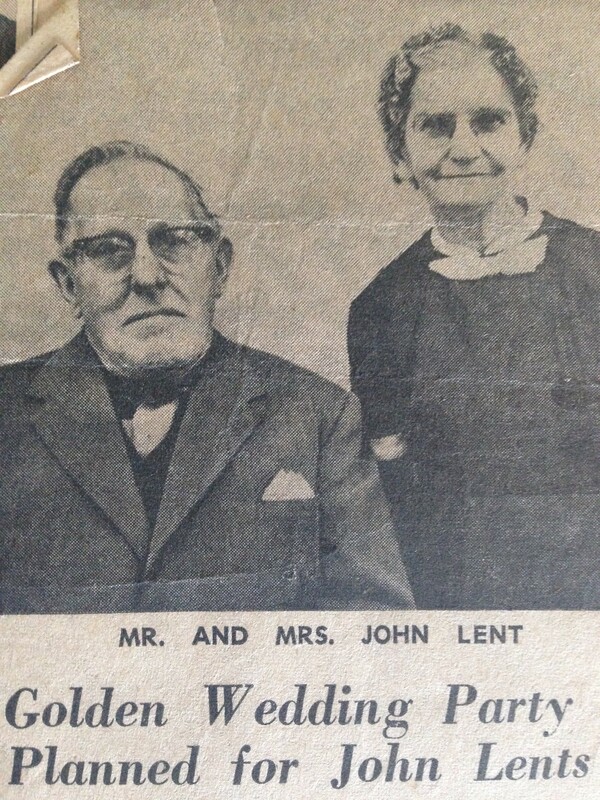 In 1916, at age 19, Bessie May Schuster married John Lent, a member of the Church of Latter Day Saints (Mormon) and a farmer who was much taller and 9 years older. 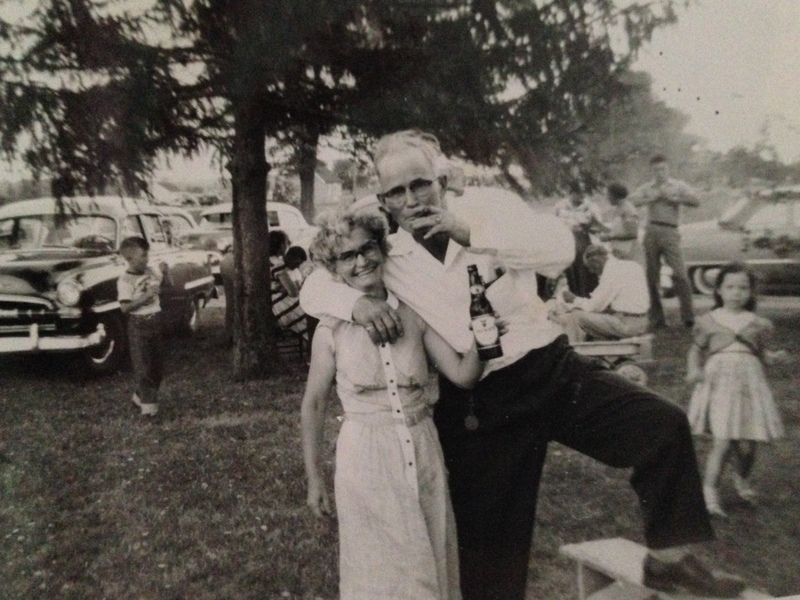 They created a life together on a farm in Mid-Michigan. On August 18, 1920 (95 years ago today), at age 23, Bessie May got the right to vote through the passing and ratification of the 19th Amendment to the U.S. Bill of Rights. In 1921, she had her first child, who died a few days later. In 1924 and 1926, she gave birth to her two living children, including my grandfather, who quit school after eighth grade to work the farm. Married in gray, you will go far away. Married in brown, you will live out strong. Married in blue, he will always be true. Ordinary business prudence suggested that the causes be definitely located. / Recent investigations have shown that the two great sources of loss to the postal revenues are second-class mail matter and rural delivery. In 1942, Bessie May’s daughter got married, and a year later, her own father was accidentally killed while crossing the street. In the 1950s-60s, her son and his very-Catholic wife moved their family to the inner-city because of his work at the automobile plant. Young Stevie Wonder was the neighbor. Bessie May’s grandchildren (including my father) became among only a handful of White students at a predominantly Black inner-city school. 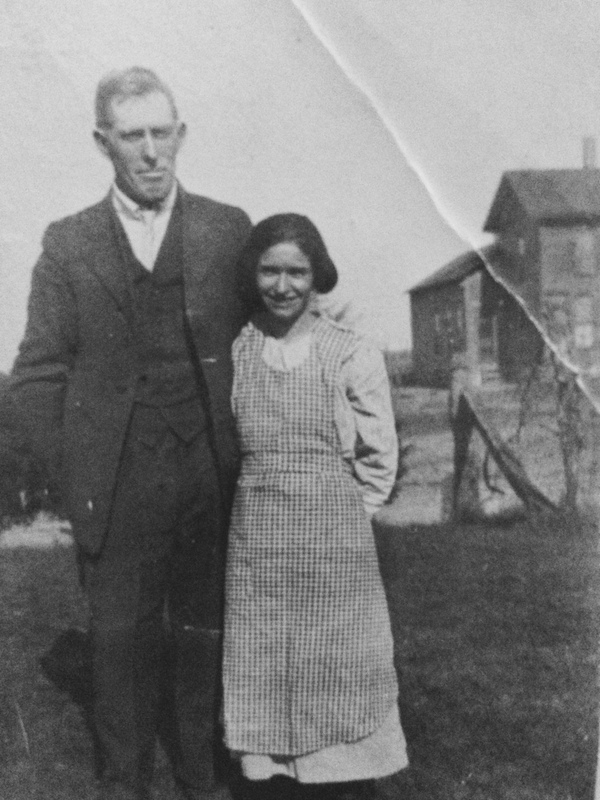 Bessie May and John remained out at the farm. She never used a bank again, and kept the family dollars and bonds stuffed in boxes, mattresses and whatever she could hide well. Her grandboys (my dad and uncle) would return every summer to work the fields. The grandkids grew up, some graduated high school, all married and moved as close to the ‘burbs as they could afford. 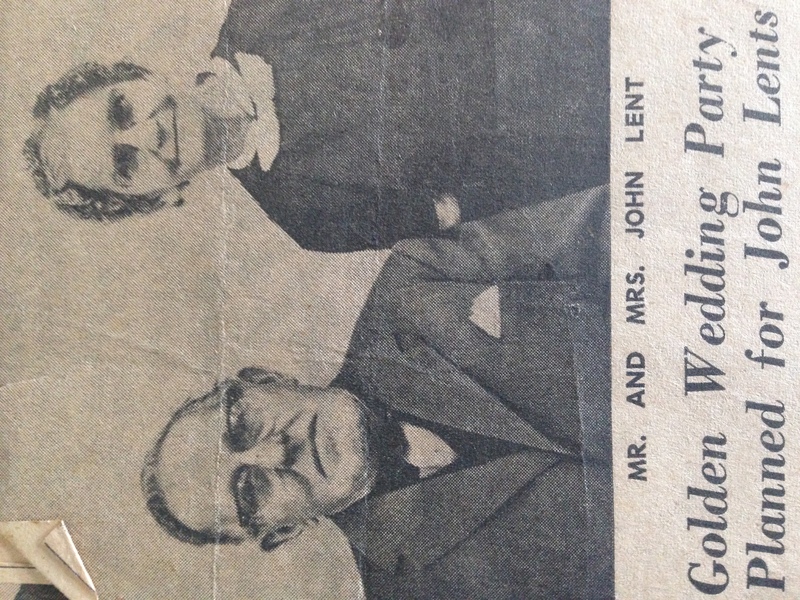 In 1966, Bessie May and John had a big hoopty-dee-doo for their 50th anniversary. In 1976, John died and she stayed independently at the farm and hired local guys to plant and harvest the corn and beans. In the 1980s, rumors started to surface of abuse inside the family. Sexual, physical, or mental, I was never sure. We saw this side of the family rarely, but I did like “Little Grandma” very much. There were struggles with finances and trust amongst my dad’s siblings and parents, which would start to heal during the weddings and funerals to come. 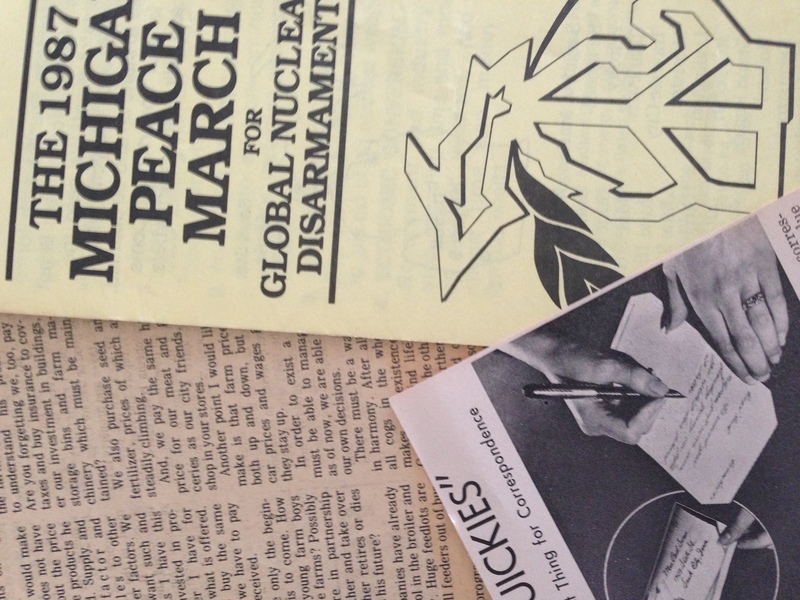 In 1987, at age 90, Bessie May hoped to attend the Michigan Peace March for Global Nuclear Disarmament. 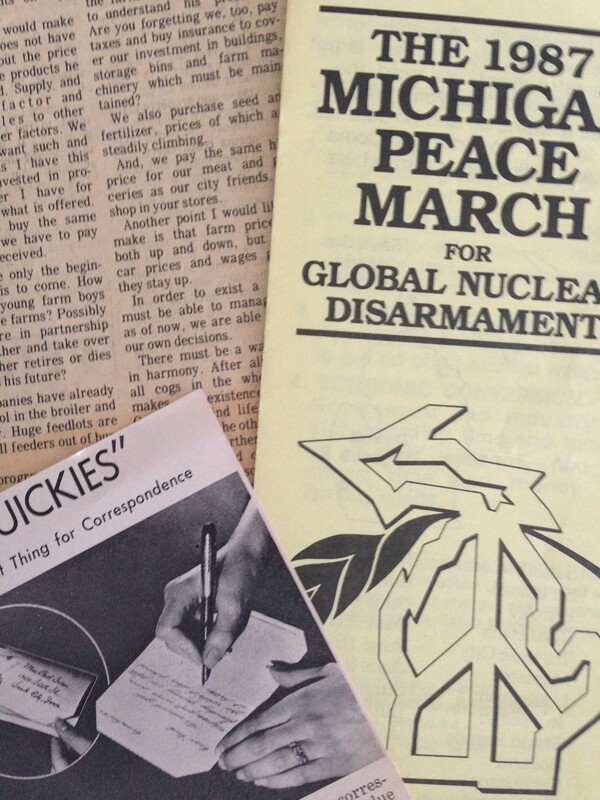 The Michigan Peace March for Global Nuclear Disarmament (from Sault Ste. Marie on May 31 to Detroit on August 9) is not a spectator event! We need the participation of everyone who wishes to stand up and be counted. We are asking for 1. Test Ban, 2. Nuclear Weapons Freeze, 3. Reduction to Zero, and 4. Economic Conversion. No one is more intereted in protecting you and your loved ones than you are. Your particular view of the world, the things you can do, the people you know, your work — all make you able to work for global nuclear disarmament in your own special way. In 1988, when I as 9, her Alzheimer’s became severe. I didn’t know much about her and thought her to be a poor farmer, probably uneducated, definitely not political. My grandparents moved back in with Bessie May at the farm. Together, they became hoarders to a jaw-dropping level. My grandparents had her join them in the National Campers & Hikers Association -Family Campers & RVers (FCRV) and Golden Agers Club. In 1996, she walked away and roamed the countryside looking for her cows. She was found down the road, curled-up, nearly naked. I was a freshman in college out-of-state. They put a bell on the door to hear if she ever left the house again. In 1998, at age 100, Bessie May Schuster Lent died. In August 2015, I found her scrapbook unearthed a treasure of inspiration, thanking the 19th Amendment for what it unearthed in both our lives. Bessie Mae and a bottle and a friend. 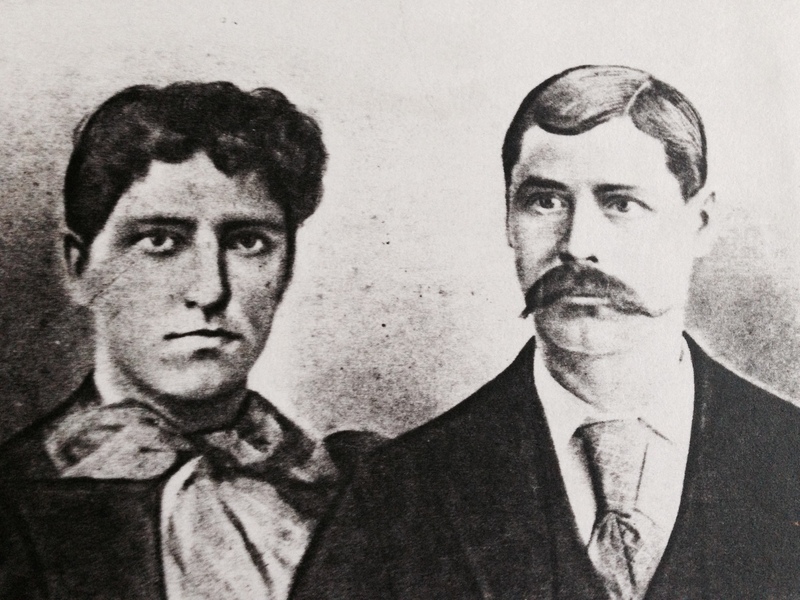 Bessie May’s grandparents: Samuel Runyan (1833- 1915) and Sophia Frank, who outlived her husband and lived 12 years of her mighty life with the right to vote.